A new year... A new you... A NEW CAREER! The Job Fair is SOLD OUT for Vendor Booths! The 7th Annual Job Fair features jobs in welding, machining, sales, healthcare, engineering, accounting as well as other educational opportunities and community resources. It's free for job seekers to attend. If you want to be a vendor see information below on pricing and how to register. Click here for a list of confirmed companies and job openings. This list is updated perdocially. Attendance is FREE to those seeking a NEW CAREER! 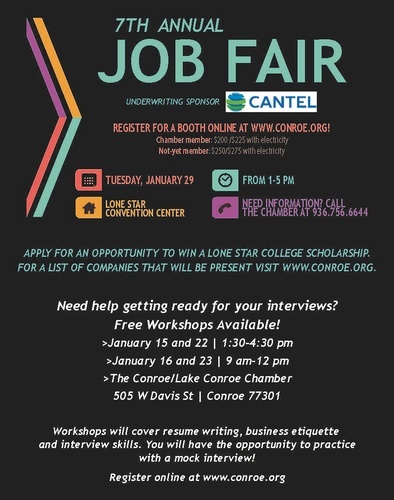 Job Seekers do not need to pre-register for the Job Fair. Download the registration form here or sign up through the registration on this page.